OCEANSIDE — Oceanside Historical Society contributed this photo, which was likely taken in 1908. 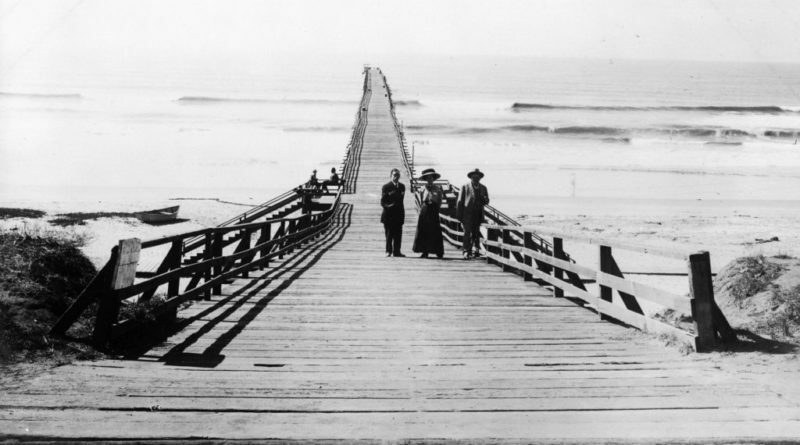 According to Hawthorne, Oceanside’s third pier was built in 1903 using steel railway rails purchased from Southern California Railway Co. and measured nearly 1,300 feet. Oceanside Electric Co. offered to light the pier free for one year in 1908 if the city agreed to pay for the necessary wiring. This pier was replaced in 1927, marking Oceanside’s fourth pier reconstruction.